Join us Thursday as we remember all the young black women and girls who were victims of state and localized violence. Names often erased from the Black Lives Matter narrative yet their families and loved ones still seek and deserve justice. If you’re interested in helping or contributing in some way please let us know, otherwise please disseminate widely. 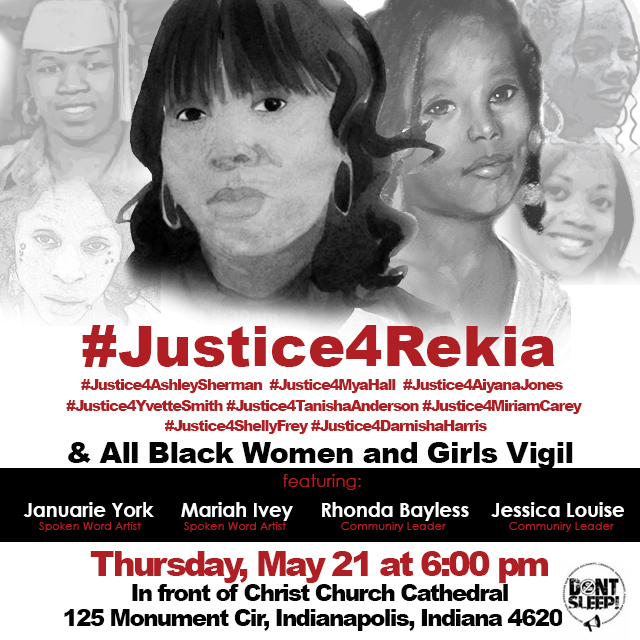 “When we say #BlackLivesMatter, we mean Rekia Boyd’s life too.